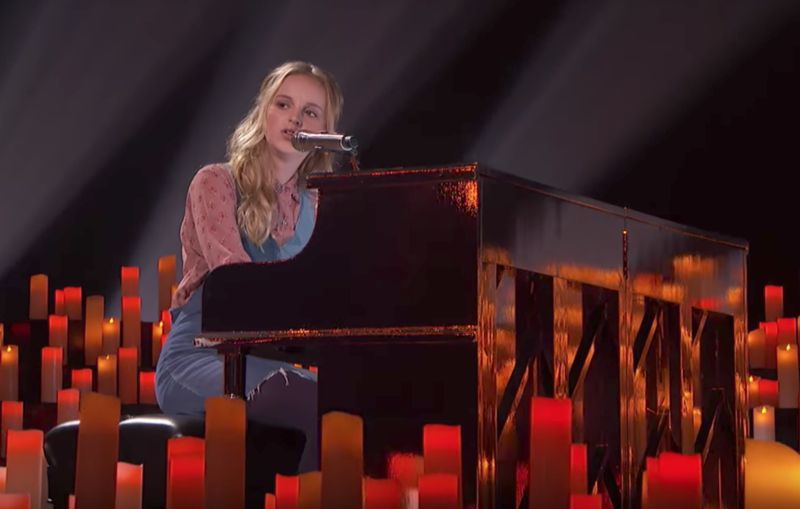 She’s only 13 years old, but LDS teen Evie Clair held the audience and judges of America’s Got Talent spell bound Tuesday night with her rendition of “Wings” by Birdy. Alone at a piano in an ocean of candlelight, she added her signature feeling to the already beautiful song. In the end, she had all four judges on their feet giving her a standing ovation. Evie’s father, Amos Abplanalp couldn’t be at the performance as he is battling stage 4 cancer. But his absence didn’t stop Evie from giving both of her parents a shoutout. To learn more about Evie and to follow her journey on AGT, click here.